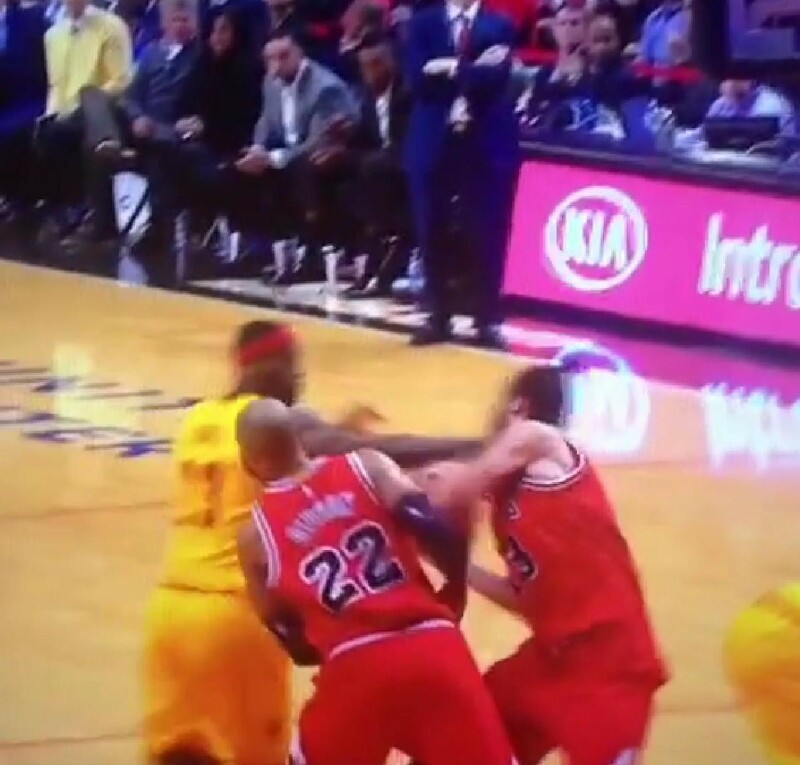 LeBron James and Joakim Noah were engaged in a battle for a loose ball during Thursday night’s Cavaliers-Bulls game. James attempted to slap the ball out off Noah's hands and inadvertently slapped Noah in the face. It was probably unintentional, but both players have had some heated exchanges over the years. Maybe James did manage to sneak in a cheap shot or really wanted the ball back.